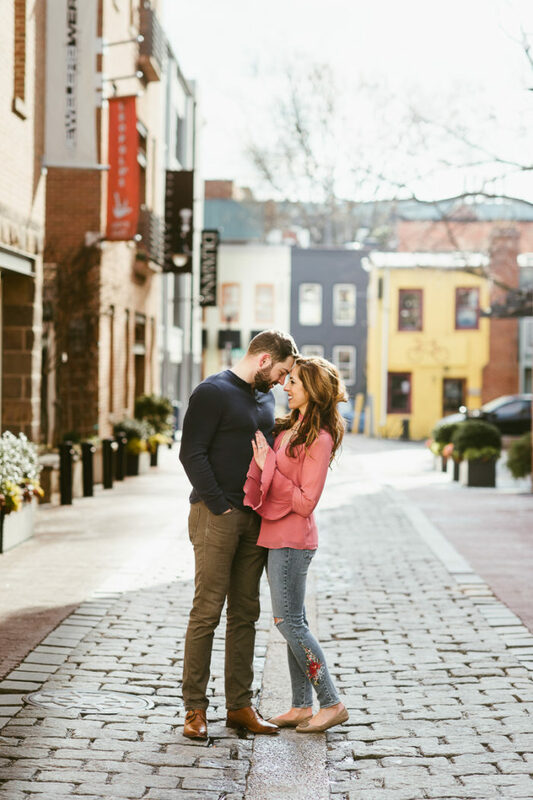 Today’s couple, Chris and Sara, honored their proposal story by going back to the spot where it all happened, Georgetown. 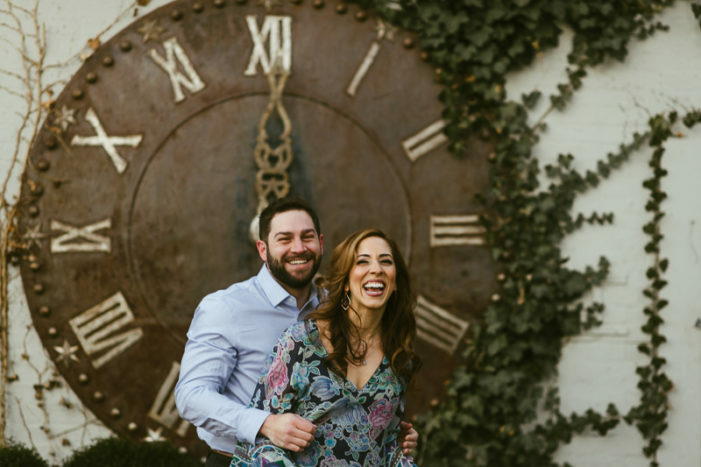 Chris proposed to Sara in down by the waterfront after quite a few delays! Intrigued? Keep scrolling for the whole story! 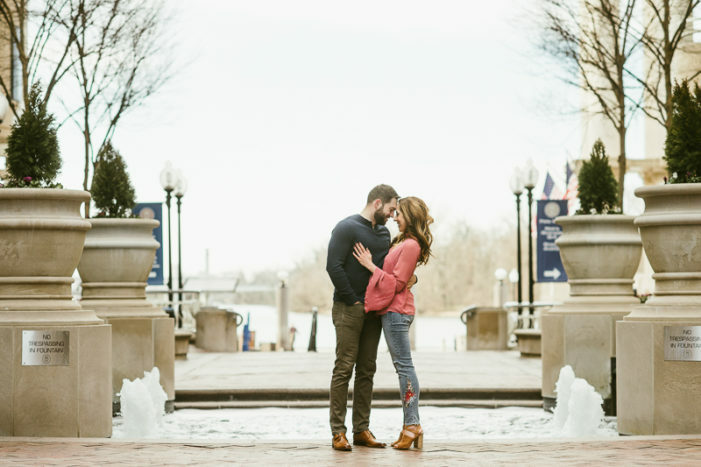 For their DC engagement session they went along with their photographer Porter Watkins, to tour the whole area at the crack of dawn! As you can see, this was a great choice as the lighting in their photos is phenomenal. 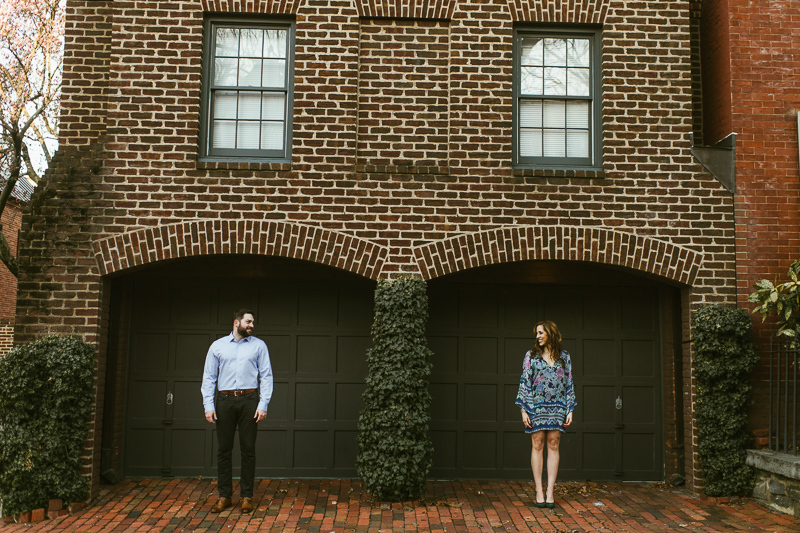 They chose to explore the lesser known corners of Georgetown for their photos, which is something we absolutely love. 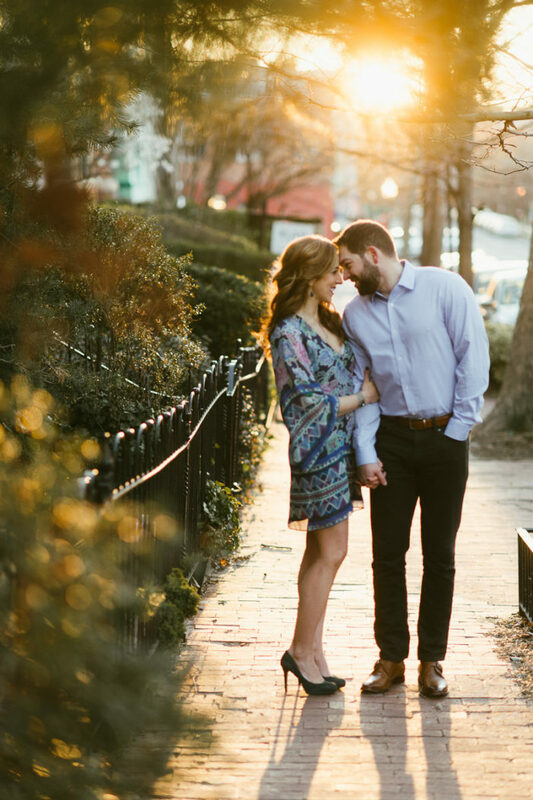 DC has so many nooks and crannies that are perfect for engagement sessions. 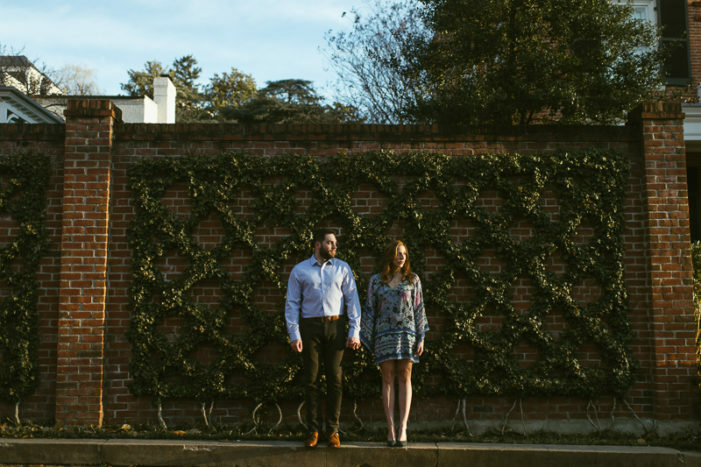 Not sure where to take your engagement photos? Check out some of your favorite neighborhoods. 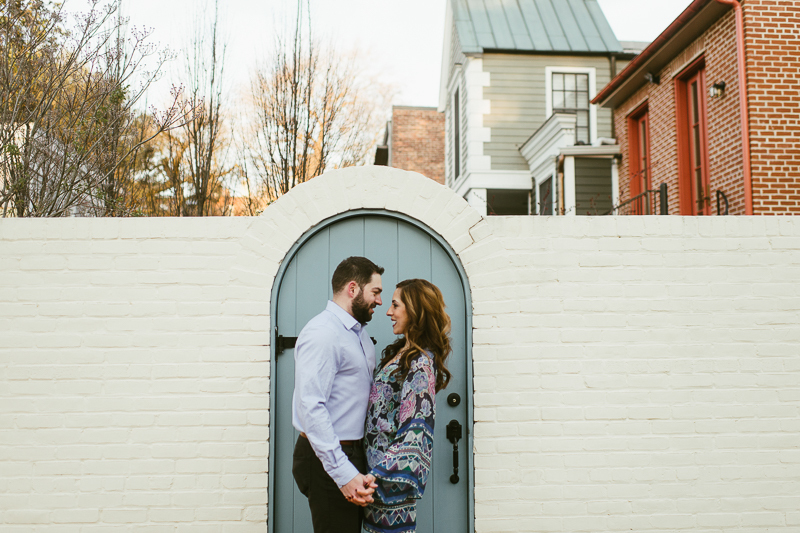 We’re sure there are some hidden gems; the DC area is full of surprising wall art, cute streets, and intriguing doors to serve as colorful and creative backdrops! Tell us about the proposal: Our proposal got pushed back a few times between the months of November and December in 2017. 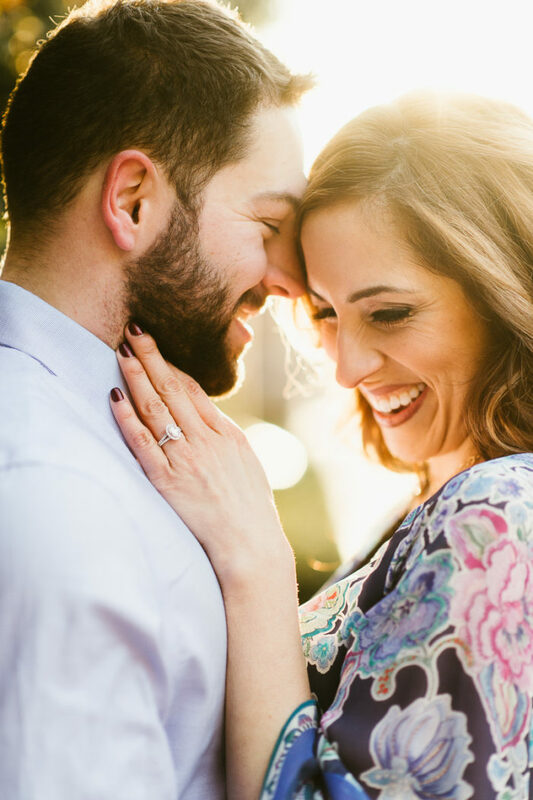 I had wanted to propose on a trip to Virginia Tech (my alma mater); however, the ring had not yet arrived so my next plan was a trip to Florida. That trip to Florida was eventually cancelled in favor of a trip to California (which wouldn’t work since it was for a friend’s engagement party). 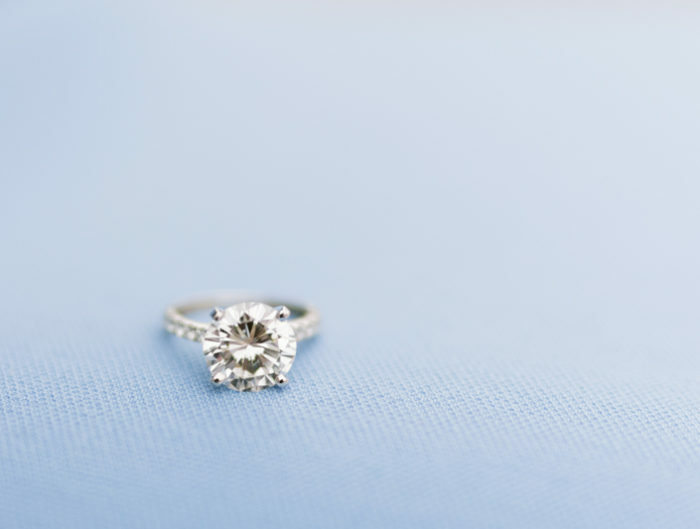 I had said multiple times that I refused to propose on a holiday like Valentines, birthdays, Christmas or New Years Eve, but was running out of time to still propose without waiting until the next year. In the lead up to Christmas, we planned a trip to town for dinner and walking through Georgetown Glow. To bring everything full circle, those plans got pushed by one day due to rain on the 23rd. 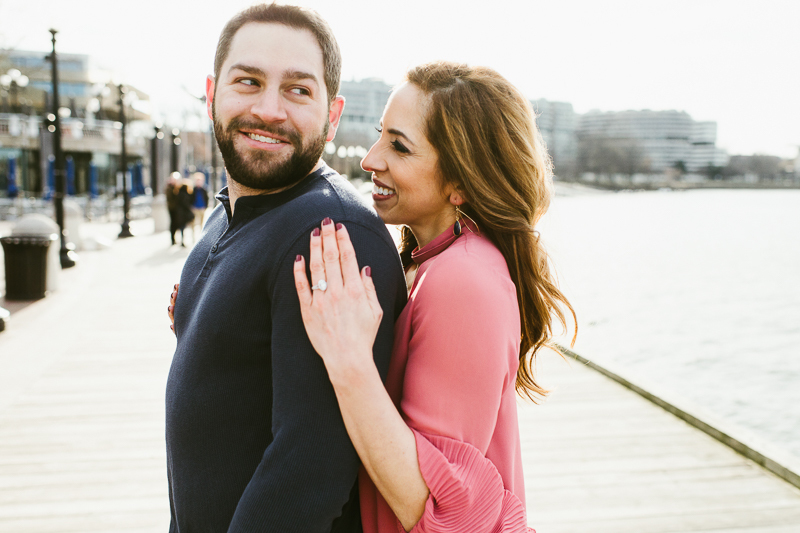 On Christmas Eve, we got fancied up and went to Farmers Fishers Bakers at the Georgetown waterfront. While approaching the ice skating rink I noticed the fountain that overlooks the ice rink and Potomac. I commented that after dinner we should get a picture in front of it. We finished dinner and headed up where I tried to find someone who may be able to understand what I was about to do quickly. 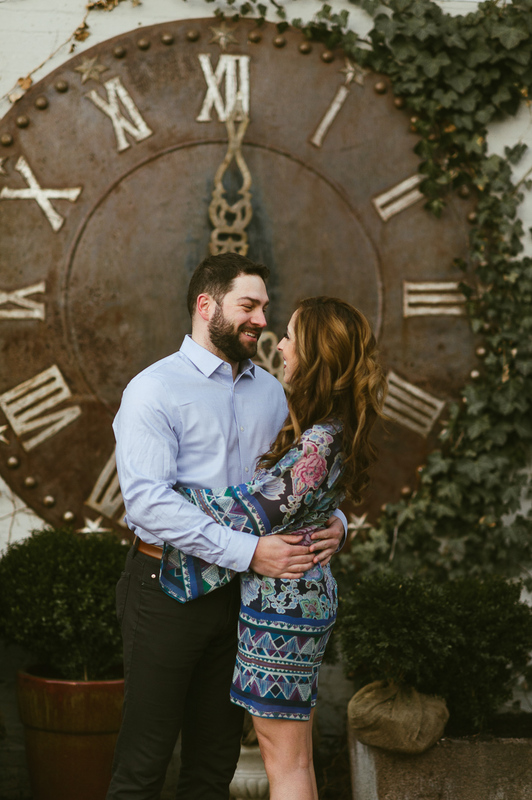 As we got together to take the photo, I got down on one knee and was lucky enough to have our generous bystander take some video and a couple of (poorly lit) photos of the moment. I was also lucky enough to not fall into the fountain… which did almost happen. 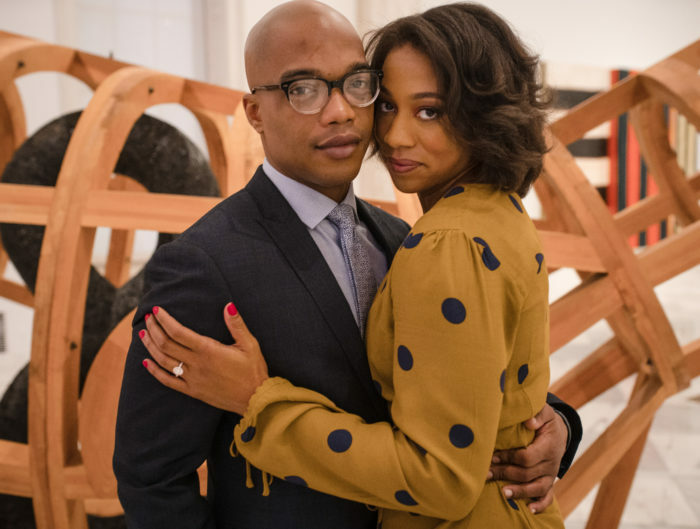 Thanks for the feature United with Love! Chris and Sara look awesome! What touching and memorable photos and story! Chris and Sara reflect the hope and love of the future! !